There have been some newspaper reports lately about the beer prices at Oslo airport, which are the highest in the land. This should not coame as a surprise to anyone. The beer prices at the airport is always more expensive than in town. A plass of Pilsener Urquell at Prague airport is astronomical if you compare it to a baskstreet cafe in town. The Director General of the Norwegian Competition Authority is interviewed in the major business daily Dagens Næringsliv. She, unsurprisingly, wants more competition. It is the generic term for a beer. If you walk into a pub, you traditionally ask for en halvliter. What you get is the standard pale lager available on tap in the establishment. (If it is noisy, you just signal with your fingers how many halvlitere you want, so no conversation need to take place. Evan asked the question: Would you go into a restaurant and ask for one food? His point is that things are changing. Many consumers go for quality, not for quantity. When the Director General of the Competiton Authority raises the question of how to increase competiton to get lower beer prices, what she discusses is wether we sould pay niney or one hundred kroner for a halvliter of Carlsberg. Real competiton would mean that we could choose between a broad range of beers, domestic and imported. And if the beer is good, we don’t mind paying premium prices. You know what? They printed it yesterday. Håndverkerstuene has gone through some changes of management, but the kitchen is still very good – and the beer range is better than ever. Some of the imports, particularly the Belgians and Americans, are gone, what you find is an outstanding range of Norwegian and Nordic beers. 12 craft beers on tap a few days ago, 10 of them Norwegian, the other two also Scandinavian. 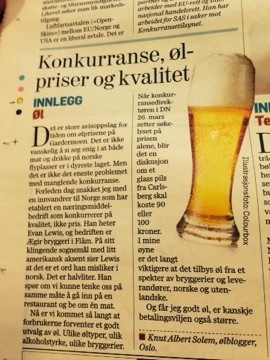 This year they are challenging Norwegian breweries to come up with the best beer matches for various menus. Eight breweries are taking part in the quarter finals, Austmann vs Aass, Ringnes vs Nøgne Ø, Lervig vs Haandbryggeriet and Ægir vs Kinn. The two best meet in the final 22 September. The juries are the paying guests on the evening of each round. The loser of the final will brew a special brew for the winner. Details about the challenge, the menus and tickets at the Bryggeribråk web site. Over the years, I have written about the beer scene in many European countries, but I haven’t written very much about Belgium. Sure, I covered some places in Brussels and Brugges, but I am a novice compared to those who make annual visits and know both the back streets of Antwerp and the green country lanes of Payottenland. I am happy to tell that I belong to a group of eight Scandinavian beer writers invited to a four-day visit to Belgium next month. More about the itinerary later. I like to plan ahead, so I have already spent some time with google maps, guide books and other sources. My guides to Belgium were a few years old, so I thought I’d check what’s available. There are guide books of all shapes and sizes. With 3D drawings of palaces and museums, with pull out or fold-out-and-never-able-to-fold-back-again-maps. And there is a peculiar tradition among the guidebook publishers – they hide the publication date of the book as well as they can, fearing that they will be considered past their sell-by date. But there are some real gems out there. On Amazon, there are scans of old and out of print books, I stumbled across Peeps at Many Lands: Belgium by George W. T. Omond, published in 1909 and now in the public domain. 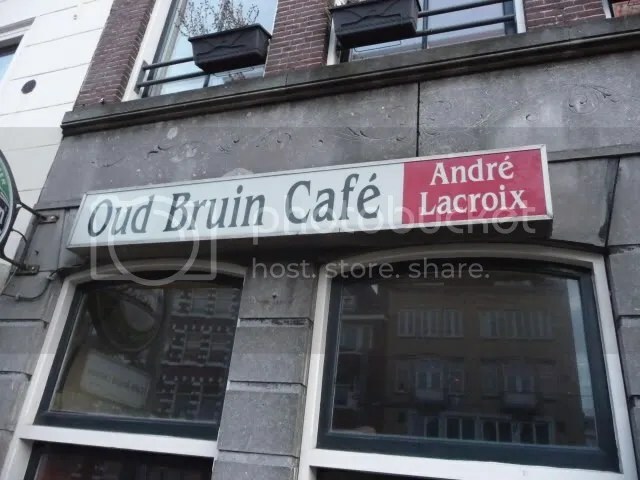 According to Wikipedia, the author was awarded the Order of the Crown for his books about Belgium. I have a nagging feeling that the Belgians did not read the books before giving him the award. …..This seems a dull and hard life, but the Flemings do not find it so. Like all Belgians, they are fond of amusement, and there is a great deal of dancing and singing, especially on holidays. Sunday is the chief holiday. They all go to church in the morning, and the rest of the day is given up to play. Unfortunately many of the older people drink too much. There are far too many public-houses. Any person who likes can open one on payment of a small sum of money to the Government. The result is that in many quite small villages, where very few people live, there are ten or twelve public-houses, where a large glass of beer is sold for less than a penny, and a glass of coarse spirits for about the same price. Most of the drinking is done on Sunday, and on Monday morning it is often difficult to get men to work. There are many, especially in the towns, who never work on Mondays. This is quite understood in Belgium, and people who know the country are pleased, and rather surprised, if an artisan who has promised to come and do something on a Monday morning keeps his word. Of course there are many sober work-people, and it is a rare thing to see a tipsy woman, much rarer than in England; but there is a great deal of drunkenness in Belgium. And who is Ivar Aasen, you may wonder. There might be the occasional linguist outside the borders of Norway that will recognize the name, but otherwise, this is strictly a national figure. But hang on, this has some significance. 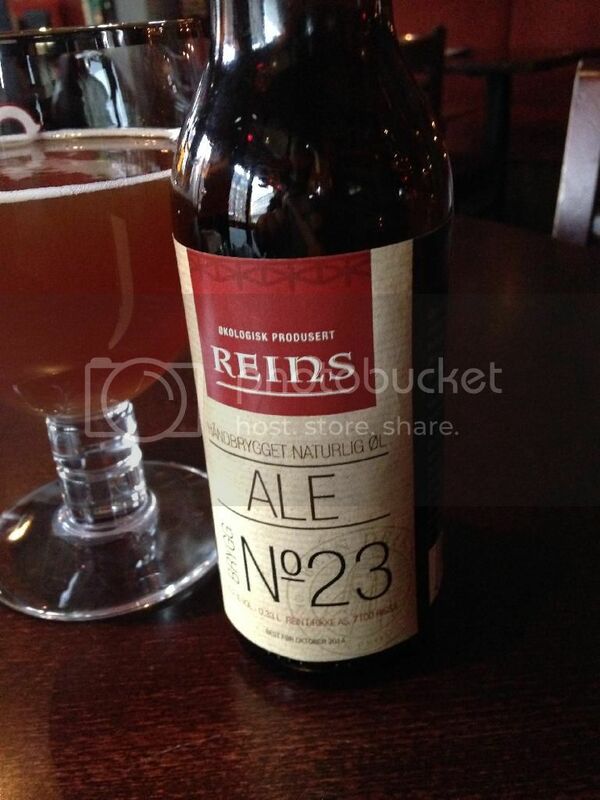 This is a new beer from Kinn bryggeri, located in a small town on the west coast of Norway. The beer is a barley wine or byggvin in Norwegian, the first brew of this marked batch # 500 from the brewery. 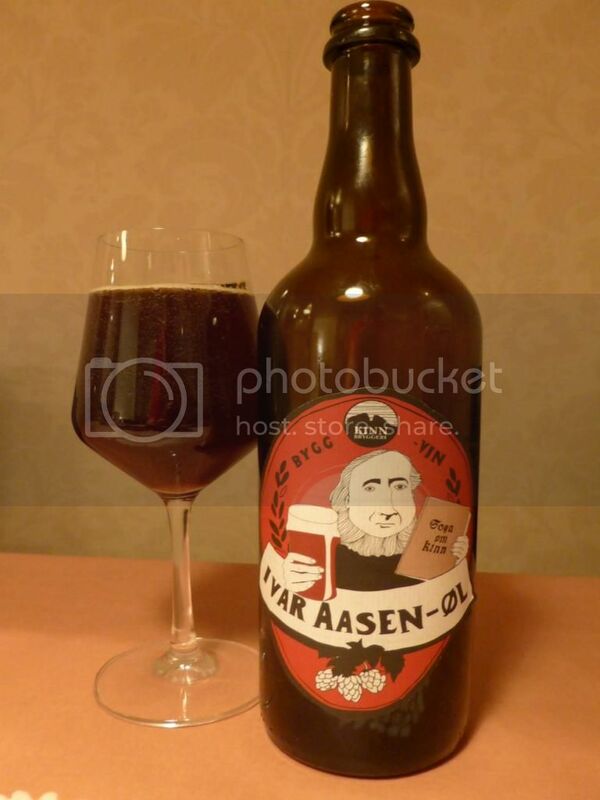 The beer was brewed for the 200th anniversary of Ivar Aasens birth in 2013. Just a few decades ago, there would have been a wave of protests against using his name for anything associated with alcohol. This year we are looking back at 200 years of Norway as a modern nation-state. In a union with Sweden at first, but with a parliament of our own and a constitution inspired by the revolutions in America and in France. Building a national identity was a challenge for a poor country on the periphery of Europe. There were, basically two schools of thought. One wanted to develop things step by step, keeping Danish as a written language. Our most important contributor to modern world literature, Henrik Ibsen, wrote his plays in Danish, many decades later. The alternative was to search for something uniquely Norwegian. This included painting, handicrafts, traditional music, national costumes, fairy tales and all that. Ivar Aasen travelled through the country , collecting words and grammar from local dialects which made the basis for what is presently one of the two official written languages of Norway, nynorsk. Nynorsk is traditionally connected with a broader movement of counter-culture in Norway. This also included religious associations and, particularly, the temperance movement. This meant that social events in the areas dominated by this broad counterculture meant that nothing stronger than coffee would be served. The local communities traditionally dominated by these ideas were traditionally dry, some went to extreme measures allowing hotels to serve alcohol to tourists, but not to the local population. Gradually, this has eroded. And even if nynorsk still has a stronghold in Sogn og Fjordane, the county where Kinn is brewing, they now expect the same worldly luxuries as the rest of us. Including alcohol. Which means that, 200 years later, Ivar Aasen gets his own beer. There is even an oil field named after him. I got a taste of it from the brewer a year ago, but he did not feel that it was ready for release at the time. It is now available in the Vinmonopolet stores in the trade mark 0,7 liter bottles. This is a clear amber brew with a pearly carbonation, though I have heard rumours that the carbonation is a bit lower in one of the batches. The beer is malty sweet, and it packs quite a punch at 10.5% ABV. It is a very complex beverage, with grass, nuts, basil and nutmeg. I even find notes of chocolate and strawberry jam. IT is lovely now, and will probably keep for many years in a good cellar. Tis is a perfect match for a really mature cheese. Some Stilton or unpasteurized brie, perhaps. Or, here in Norway, Kraftkar. Back in my old home town again, a few hours to spare. Two new beers at Trondhjem Mikrobryggeri, both of them keeping the high standard that they have those days, hoppy and well crafted. Later, I will have a chat with the guys running the pub and micro brewery at Studentersamfundet. But I have heard rumours about beers from a new brewery available in a pub I’ve never visited. Though the place is very familiar. This building used to house a temperance hotel and cafeteria on one of the busiest street corners in town, Prinsenkrysset. Those days are gone, and it makes perfect sense to have a pub here, a very convenient place to meet. Irish theme pubs is not an endangered species, and at first sight Cafe Dublin is no different. Pub grub, which seemed a bit pricey, beer engines with the usual suspects. But when I talk to the man behind the bar, I recognise that he sim more committed than most. He has some bottles from the Rein brewery in the fridge, he has the O’haras Leann Follain from Carlow, an excellent Irish stout I’ve never spotted anywhere in Norway before. Austmann beers in bottles and on tap, too. The temperatures in the fridges have even been turend up for the more interesting beers. It is not my favourite beer bar in Trondheim. But it is certainly worth looking in if you are passing by. Live music in the evening. I haven’t learned to use my new camera yet, so no decent photos of the facilities. The Reins beer? Not quite there. Going organic is not enough. 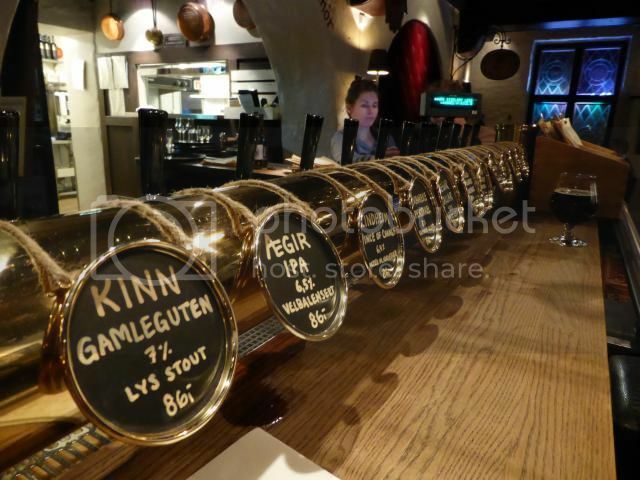 I’m going through a period when the blog posts are more infrequent, but that does not mean that the Norwegian micro breweries are slowing down. There are newcomers every month, my current estimate is 80 active breweries before Easter. Some are doing very well, their main headache is how to expand their capacity. Others are more a paid hobby, but they are cheered on by their local communities and newspapers. Even the supermarket chains allow more local products on their shelves in places where there were no outlets. I am not terribly impressed by all the new ones. I think we will reach a saturation point for pale ales at 4.7% ABV at 50 kroner per bottle very soon. Yes, there is a segment in the market willing to pay a premium price for premium beer. But, frankly, everything out there is not of premium quality. Some have serious quality problems. Others are bland. And even the industrial brewers are waking up, launching top fermented ales. But there are some rising stars, too. I would particularly point to Lindheim, a farmhouse brewery located in rural Telemark. So far I have only seen their beers on tap, but I assume they go for a broader distribution. They have already made collaboration brews with big names like Port Brewing and Lost Abbey, som they are definitely aiming for the big league. Speaking of collaborations, they are happening everywhere. 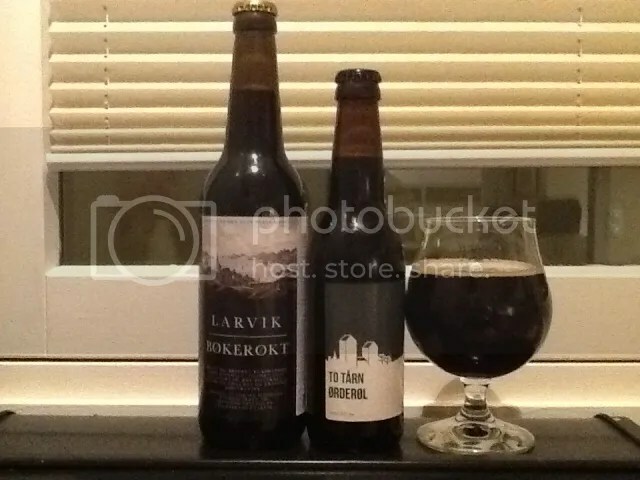 Haand/Närke, Lervig/Magic Rock, Austmann/Amundsen, Amundsen/Crowbar…. But the most important trend now is going back to the roots of Norwegian brewing. The key word is local malt, particularly from the Stjørdal region. There are already a few beers out, expect more to come during the year. These will cover a broad range from mild ales with just a hint of smoked malt added to robust ales filled with smoke and tar. Beers to look out for are Alstadberger, brewed in cooperation with Klostergården, Bøkerøkt form Larvik, Ørderøl from To Tårn and beers to be launched this week by Stjørdalsbryggeriet. We are talking about beers with a pedigree going back through the centuries, when farmers grew their own barley and processed this into beer for Christmas, for funerals, weddings and baptisms. We have been lucky that a handful of farmers have kept this tradition alive.